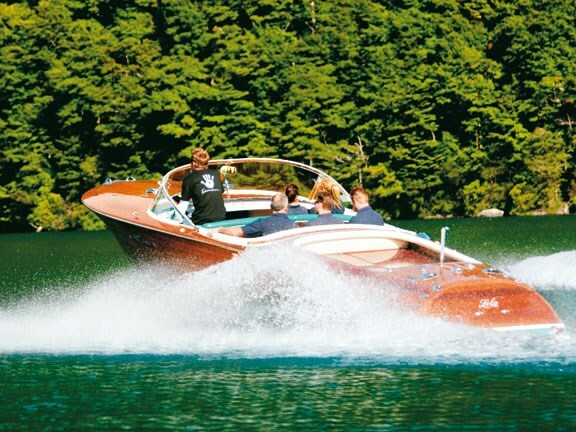 The iconic, Italian-built Riva speedboats of the 1960s oozed sensuality. 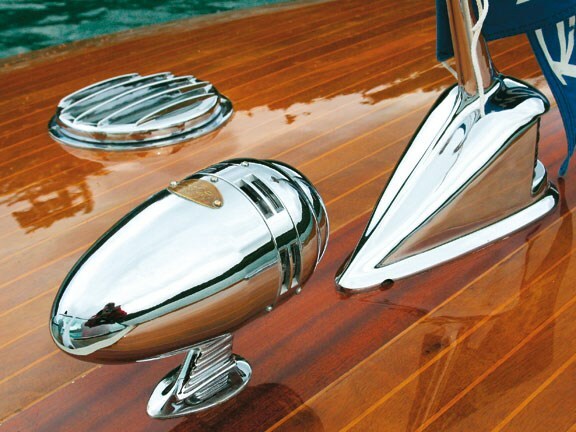 With gleaming mahogany brightwork, tumblehome hulls and powerful engines, they became must-have accessories for aristocrats and celebrities. 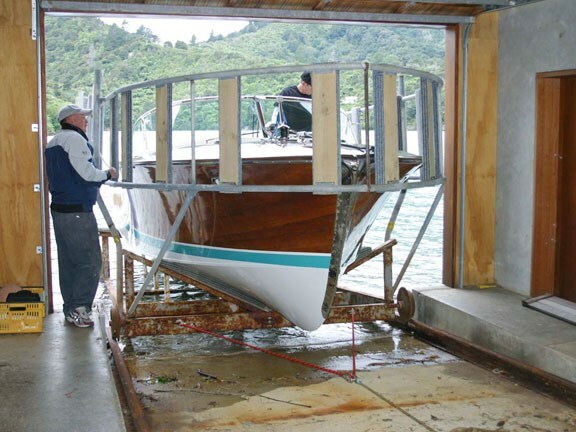 Today they’re collectors’ items – very rare and very expensive – so it’s a treat to find one in the Marlborough Sounds. 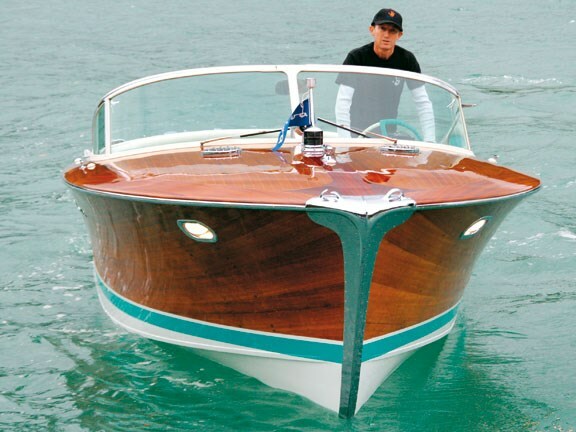 The 1962 Riva Tritone Aperto featured has a LOA of 27ft and is one of only 15 in the world. 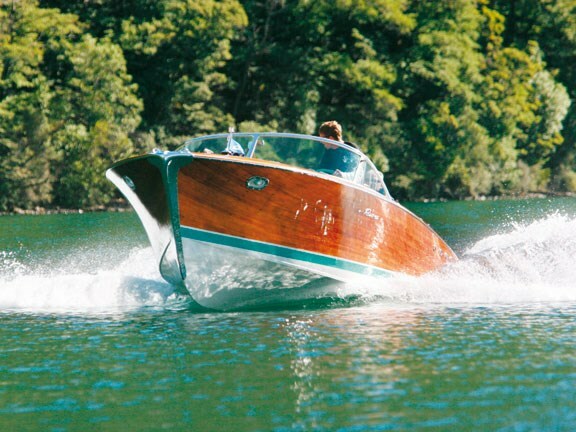 It is believed to be the only original Riva in New Zealand and a stunning example of boat restoration. 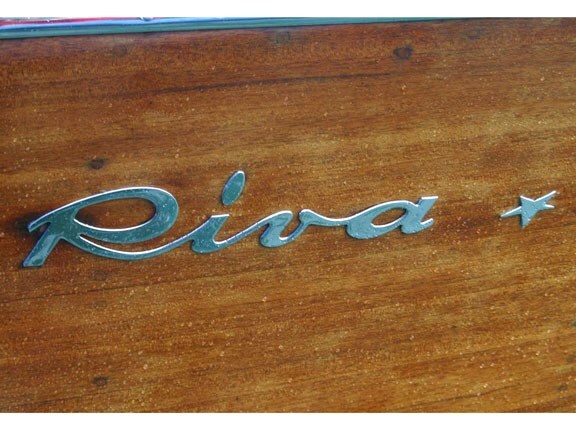 Only 3000 Rivas were built between 1950 and 1966. 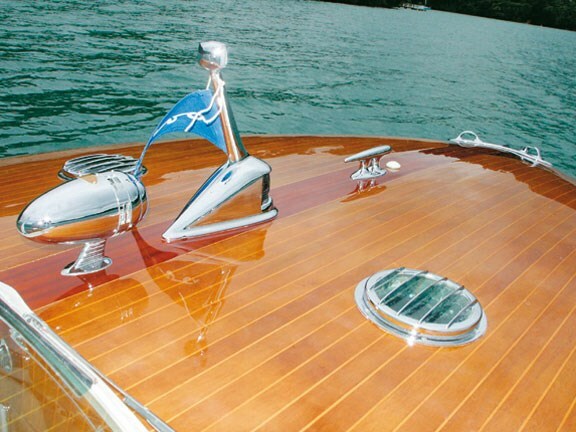 The restored Riva has a flared bow, confident lines, a tumblehome hull, gleaming engine and exhaust vents and chrome fittings. 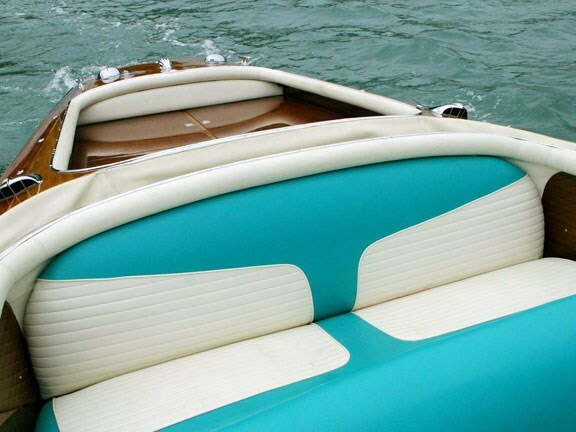 It seats up to 10 people, plus two (or more) on the sunbed. 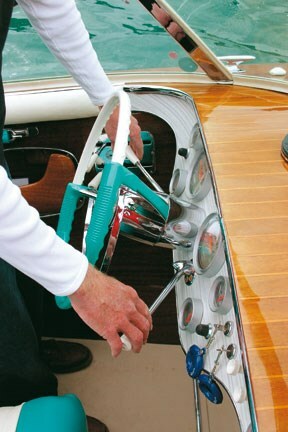 The boat is left-hand drive and uses independent throttles and gear shifts. 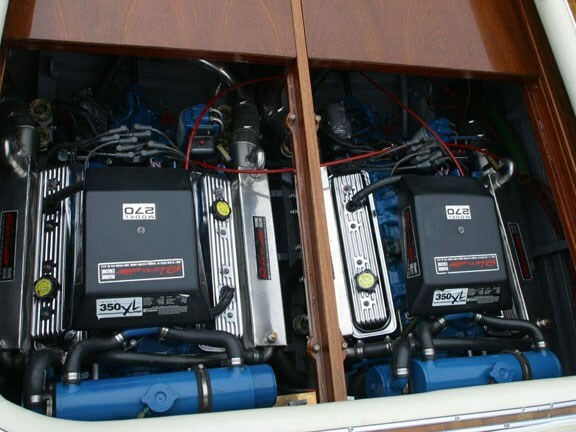 The latter are on the steering column (one on either side), while the horizontal throttles are mounted on the side, to the left. 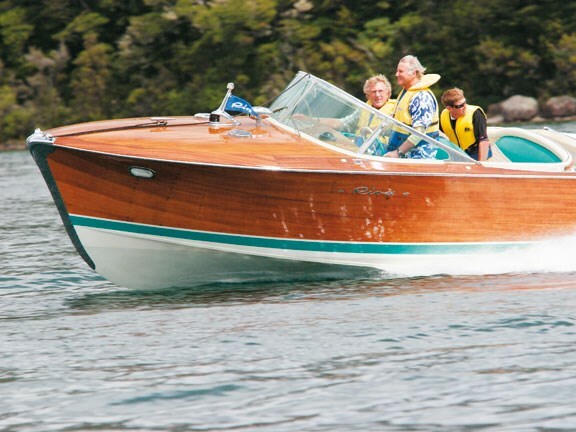 Features of the Riva reviewed include the brand name set into the boss of the steering wheel, the rear vision mirror, the flagstaff, the fairleads, the navigation lights, the windscreen and the windscreen wipers. 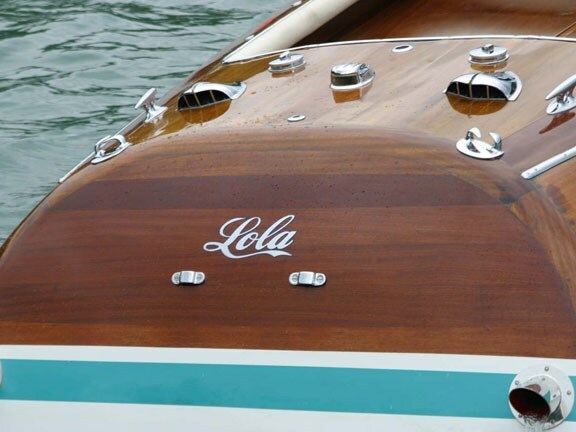 The attention to detail involved in the craftsmanship is second to none. 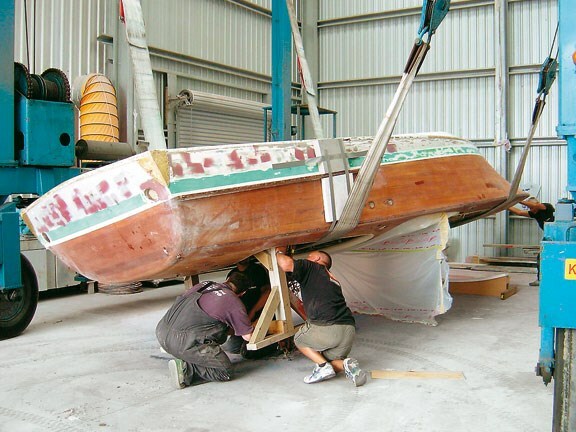 The Riva reviewed was restored by Sounds Marine boatyard in Waikawa, where the paint was stripped and the bottom faired. 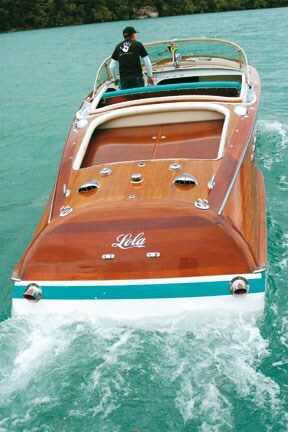 Topsides, some of the teak and mahogany foredeck needed replacing and a new kingplank was crafted. 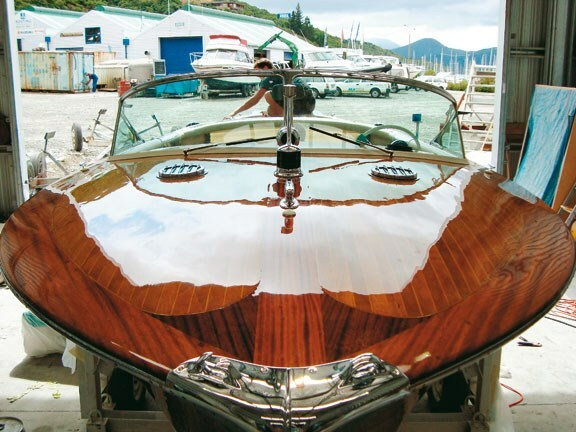 The interior was cleaned and repainted. 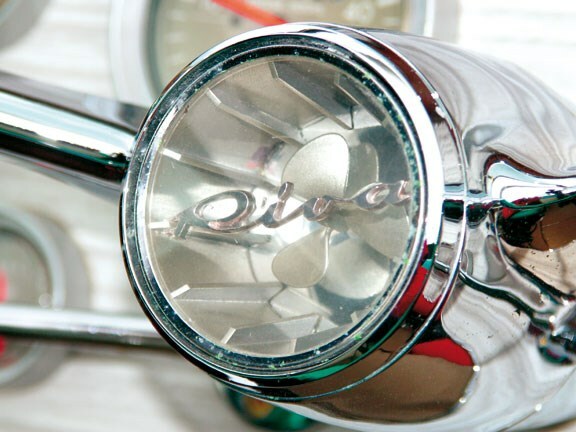 All of the instrumentation was original Riva gear, with original hand-beaten chrome fittings. 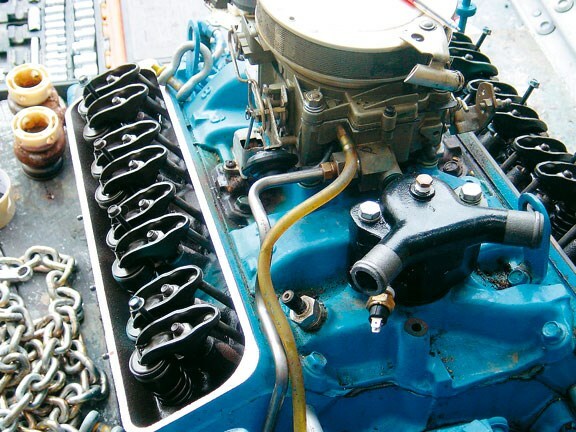 Many of these latter pieces required re-chroming. 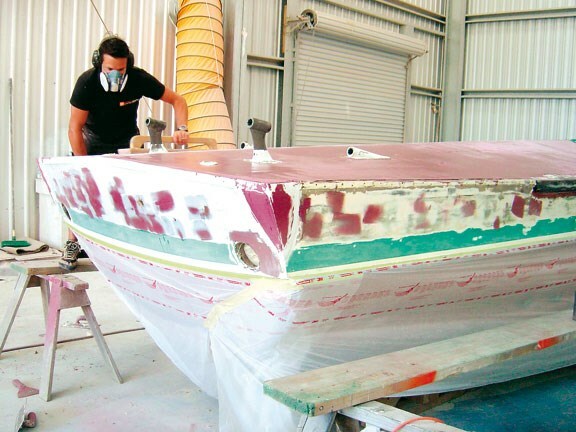 Four coats of International’s Epivar two-pot varnish were used on the completed hull, and the bottom painted. 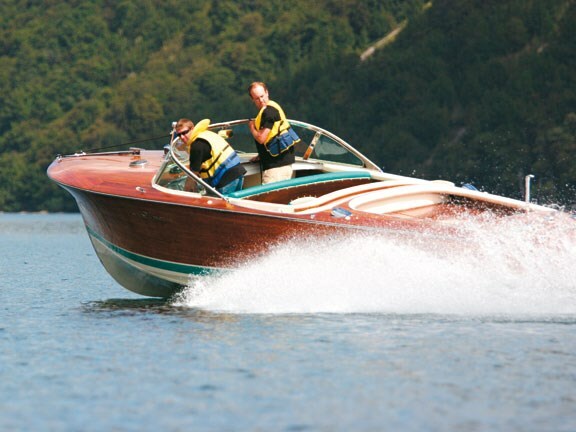 To read the full review on the 1962 Riva Tritone Aperto, see the May issue of Trade-A-Boat magazine, on sale 7 May at all good retailers.